The term banking is defined as “accepting, for the purpose of lending or investment, of deposits of money from the public, repayable on demand or otherwise and withdrawable by cheque, draft, and order or otherwise”. It is thus clear that the underline principle of business of banking is that the resources mobilized through the acceptance of deposits must constitute the main stream of funds which are to be utilized for lending and investment purposes. The banker is thus an intermediary and deals with money belonging to the public. A bank is an institution whose current operation consists in granting loans and receiving deposits from the public. The fact that both loans and deposits are offered is important because it is the combination of lending and borrowing that is typical of commercial bank. Thus the specified definition of bank that “ A bank is a financial institution refers to a financial intermediary which collect fund from surplus households and mobilized those fund to deficit households engaged in manufacturing and trading activities”. Bank generally collect fund from surplus households at a lower interest rate and extend loans to industrial and trading firms at a higher rate. The difference between the lending and borrowing rates represent the profit of the financial institution. Public emphasize that banks provide unique services (liquidity and means of payment) to the general public. However, the public is not, in contrast with professional investors, armed to assess the safety and soundness of financial institutions (i.e. whether individuals’ interests are preserved by the banks). Moreover, in the current situation, a public good (access to a safe and efficient payment system) is provided by commercial bank. In Bangladesh the security market is not very strong, that’s why people are not interested to invest in this market. Besides, there exists a instable political situation run in Bangladesh. So, the investors are interest to invest in banking sector rather than capital market. These reasons (protecting of depositors and the safety and efficiency of the payment system) have traditionally justified public intervention in banking activities. As a financial institution Bank perform the activities mainly: collect deposits, give loan and advances etc. as well as works for social and economic development of a country. Here the bank consists of Central bank, Commercial bank and development Bank. The Modern function of a bank is divided into two parts mainly. Receiving Deposit: Banks mobilized scatter small savings across the country through current, saving and fixed deposits account. Allowing Interest: Banks allows interest on depositor’s money depends on the nature of deposit account. Extension of credit and receiving Interest: From the accumulated capital, bank gives loans to manufacturing and trading firms (deficit households). Interest received on these loans represents the main revenue and sources of income for the bank. Creation of credit Deposit: Bank accepts and collect loan through the borrowers account, by the opening of the borrowers account bank tactfully create deposit by this. Creating Medium of Exchange: Banks issue cheques and other negation instruments which can be transferred money many times for payment settlements. Giving Cheques: Commercial bank provide cheque facilities to his account holder for the withdrawal of their deposit. Formation of Capital: Bank accumulates small saving from public and thus form large amount of capital. Issuing Notes: Central bank enjoys the monopoly right to issue notes and coin as per requirement of the economy. The Central bank performs this operation through the commercial bank. So, central Bank is called the Issuing Bank. Circulation of Money: Banks issue cheques and other negation instruments which can be transferred money many times for payment settlements. Thus velocity of money increases many times and economics activity is boosted. Act as a trustee: Commercial bank act as a trustee by providing their customer by locker facility to deposit their valuable asset and securities and perform certain function for the benefit of the customer. Exchange Negotiable Instruments: Banks issue, purchase and sells different types of negotiable instrument like promissory notes, bill of exchange etc. Investment of Capital: Banks accumulate small saving from public and thus form large amount of capital. Banks invest this capital as the form of loan and advances and direct investment in profitable sector. By investing capital in productive sector will boost up the economy of a country. Role in Economic Development: Specialized banks chennelize fund for development and growth of a specific sector of the economy. As a result, a balanced economic development of all sectors is ensured. For example, industrial banks provide fund for setting new industries, agricultural banks provide funds for agricultural inputs and equipment which help a balance growth of industrial and agricultural sectors of the country. Transmission of money: Bank transmits money from one country to another with the help of his branch across the world by the Cheque of the bank, Bill of exchange, Draft etc. 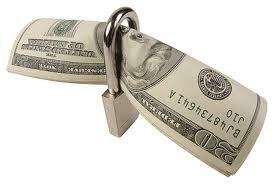 Safe custody of Money: Banks saving deposit of people with an assurance of returning it upon demand. This provides safety of the depositors’ money, which if not deposited, could be stolen, lost or wasted from the household. Consultancy: In the process of continuous interaction with business people, banks gather much insight about operations and problems of industries and business. The executives of the banks are trained for appraisal of business proposal. This enables the banks to provide advisory services to the parties whom are interested for setting up industries and starting a new business. Employment: Banks provide capital for setting up new industries- businesses BMRE of existing industries- business which create scope of employment of new labors, managers and other kind of employee. Controlling Money market: The economy of a country is mainly controlled by its money market. The Central Bank with the help of other commercial banks performs its monetary policy to control the money market. Credit control: Central Bank takes initiative by using its monetary policy to control the money supply in the economy by imposition of bank rate change, Reserve rate change which effects the Credit expansion capacity. Central banks do this operation through the commercial bank. Agricultural Development. Commercial bank and the Agricultural bank provide loan for the purpose of purchasing Seed, Fertilizer and equipment to the agricultural sector for the development of the economy. Industrial Development: Commercial Bank and the Industrial bank provide loan facilities for the establishment of Large and Small & cottage industry which ultimately effect the development of the economy of a country. To set up Relations. Banks create a breeze relationship between the home and the foreign people by the acting role of middlemen. Regional Development: Bank finds out the underdeveloped are of a country and taking role by its operating activities for the development of the region. Formation of Money Market: Central Banks create, operate and control the money market of an economy with the help of his commercial bank by strategic policies which are formulated by the ministry of finance. Help in import and Export: Modern bank facilitate trade and commerce by rendering valuable services to the business community. Apart from providing appropriate mechanism for making payments arising out of trade transactions, the banks gear the machinery of commerce, specially in case of international commerce, by acting as a useful link between the buyer and the seller, who are often too far away from the too unfamiliar with each other. Acts as treasurer of the Govt: Central Bank keeps reserve in Govt’s money and other assets without any interest and also to maintain local and foreign transaction. So it is called the treasurer of a government. Discounting of bill of exchange. Every bank performs their function by purchasing and discounting local and foreign bills and earns revenue from it. When the commercial bank fall in Bank run the commercial bank also rediscounting the commercial Bank’s discounted bill and give the adequate money. Brac Bank chennelize fund for development and growth of a specific sector of the economy, as a result, a balanced economic development of all sectors is ensured. For example, they provide industrial loan to Big , medium as well as small cottage industry for setting new industries, provide funds for agricultural inputs and equipment which help a balance growth of industrial and agricultural sectors of the country. The Bank increases its loan providing facilities every year. Analisis: From the above table we see that in the year 2003 the industrial sector was TK. 24 million but in 2004 it is increasing by 157% i.e. from 24 to 401 million. And in the year 2004-2005 it was increased by 79%. In the agricultural sector in 2003 was Tk. 204 million but in 2004 it was increased by 53%. In Trade and commerce the increase is 89%. And the overall loan providing rate is increasing 2003-2004 is 102% and 2004- end of june 2005 it was 77% increasing. Various types of deposit accounts, special saving schemes and different categories of loans are the product of the Banks. Different banks offer for its clients to different type of account and loans which is convenient to its client. The demand of the bank product is depend on the interest rate offered for deposits account and the interest on loans and advances. The demand of the product is also depend on the facilities of the bank. Some bank provide interest on Current account, some provide advising and technical facilities to the loan taker and provide the modern banking facilities to their customer i.e. Electronic Banking facilities. The Consumer or Individual demand. Individual consumer or household put deposit to the Bank in different types of Bank account and also take loan from the bank in different form of loan. The firm also save deposit to the bank in different types of account and take loan from the bank for different types of need. Total Deposit is TK. 10320 million. After the liberation of Bangladesh, financial institutions including banks and insurance companies were nationalized with to exercising social control over the resources of the country. As a result, six nationalized banks emerged under Bangladesh bank( Nationalization) order, 1972 replacing banks owned by Pakistani and Bangladeshi owners. But during the early eighties banks are allowed in the private sector and subsequently Uttara Bank and Pubali Bank were denationalized. Banks are allowed in the private sector mainly to increase competition in banking sector, to expand the private sector and to help develop a healthy banking system in the country. Competition in Banking is desirable because of its effects on market performance and allocation of scarce resources in the desired direction. Competion in banking appears primarily as rivalry with other banks and financial institutions and in concern over profits, market shares and growth. The extent of competition in respect of shares in total bank deposits and bank advances of various group of banks. Nationalized Commercial Bank ( NCBs). Government owned development finance Institution. Commercial bank of Celon limited. Non Banking financial Institution Perfect Competition. Private Commercial Bank: Private commercial Bank enjoys the monopolistic competition right because of the product differentiation i.e. the Interest rate variation or the behavior of prices of bank products. There are a large number of Banks in this category. There are 40 Commercial banks operating in Bangladesh. But is reality the commercial bank performs in perfectly competitive Industry. Nationalized Commercial Bank: Public commercial Bank enjoys the oligopoly right because of few numbers of Banks and the there are legal barrier to entry. There are only 5 nationalized banks operating in Bangladesh. Decision depends on the decision made by other Banks. Specialized Bank: These types of banks are government owned development financial institution. It aims at industrial and agricultural development of a country. So, this bank enjoys the monopoly right. Only 5 specialized banks are working in Bangladesh. Non Banking financial Institution: Non Banking Financial Institution facing the perfectly competition because of the large number of institution operating with no govern intervention and no restriction to entry and exit from the industry. Brac bank Limited: Brac bank was established in 4th July 2001, and opened its operation with approved capital 1000 million taka and paid up capital 250 million taka. At the end of the March 2005 the paid-up capital is 500 million. The vision of this bank is to provide loan in the small and cottage industry in Bangladesh which sector have scarcity in capital. This bank gives facilities to its customers by providing Modern online banking service; Different types of Deposit Payment Scheme and savings schemes; Personal/Consumer Loan, Cash management facilities, Remittance Transfer quickly etc. Brac bank regularly participates in Social Responsibilities. They give finance in the disaster period i.e., distribute food, and provide medical facilities in flood affected area and during Monga. What is the risk in banking business? There are mainly three types of risk banks are facing when they perform their operational activities. The management of risks, in the full acceptation of the term, can be seen as the major activity of banks. Commercial banks have to control and select the risks inherent in the management of deposits, loans portfolios of securities, and off-balance-sheet contract. Default risk: The credit activities of a banks is affected by default risks, which occurs when a borrower is not able to repay debt( principal or interest). Defining and measuring credit risk is equivalent to determing how the market evaluates the profitabillity of diversification and hedging provided by financial markets. In part, the level of risk depends on the institutional arrangements which the banks are subject, either through the interbank money market or through specialized institutions created for this purpose. This connection between the institutional framework and the different elements that determines the pricing of credit risk is particularly important in applied work. Lack of skills of bank employee. Decrease in price of security. To understand how default risk affects the completive pricing of loans, this discussion will begin with a simple approach that will justify the use of the risk spread (the difference between the interest rate on a risky loan and the riskless rate for the same maturity) as a measure of the credit risk of an asset. Indeed this discussion will show how the risk spread is determined by the borrower’s probability of default. It will then proceed to examine a more complete approach based on option pricing. Assuming that risk is diversifiable and that the bank under consideration can indeed diversify this risk away through a large population of borrowers, the only things that matters is the probability of default. Credit scoring methods, the analogue of actuarial techniques used by insurers, allow banks to estimate a prori this probability of default based on the observable characteristics of the loan applicants. The simple approach just explained relief on three assumptions that are not very satisfactory: (1) the instantaneous probability of failure is constant and exogenous. (2) Credit risk is completely diversiable, and (3) in case of failure, the residual value of the firm is zero. When credit risk is not completely diversifiable, a risk premium must be introduced, and the analysis becomes more involved. However financial market provides insurance possibilities for banks. Therefore the risk premium quoted by banks must be in line with the ones prevailing in the securities market. The probability of failure is not exogenous: it depends in particular on the indebtedness of the firm. The market pricing of risks is taken into account. The liquidation value of the firm is not zero. Liquidity risk occurs when a bank must make unexpected cash payments. This types of risk essentially comes from the specificity of the demand deposit contract: unlike the creditors of other kinds of firms, depositors are allowed to demand their money at any time. Consequently, the deposit activity is affected by the risk of an unexpected massive withdrawal by depositors. Without regulation, bank run and bank panics are inherent to the nature of banking, and more specially to the fraction reserve system. Indeed, bank deposits contracts usually allow depositors to dispose of a nominal amount on demand. As soon as the fraction of these deposits is used for financing illiquid and risky loans or investment, there is a possibility of a liquidity crisis. from their banks, they fear bankruptcy and respond by withdrawals their own deposits.Withdrawing in excess of the current expected demand for liquidity generate a negative externality for the bank experiencing the liquidity shortage, since they imply an increase in the banks’ probability of failure. But they can also generate externalities for the whole banking system if the agents view the failure as a symptom of difficulties occurring throughout the industry. In such a case the bank run may develop into a bank penic. Going for short term borrowing from other commercial bank. Liquidating some of its short term financial instrument. Rediscounting of available discounted bills with other financial institution. However, sometimes the commercial bank fail to collect money from the above mentioned sources or if can, the collected amount may be much lower than required amount. Then the only alternative available for the commercial bank is to go to the central bank- the guardian of the financial sector. In these situations the central bank provides necessary fund to the listed bank by rediscounting the commercial banks discounted bills. However if there is no discounted bills available to the commercial bank, the central bank provide direct cash loan. In this way when all other alternative fails, the bank is rescued from danger by the central bank. A portion of commercial banks fund which is set a side for the purpose of assuring its ability to meet its liabilities to depositors in cash. Minimum reserve to maiontain against demand and time deposits are usually determined by the banking law. The central bank, from time to time, change this minimum required cash reserve ratio. When the reserve ratio is increase , the listed commercial commercial bank have to keep a larger portion of their total deposit with the central bank as cash reserve, hence their ability to extend loan decreases. On the other hand if the central bank reduces the cash reserve ratio, listed commercial banks’ ability to extend loan increases. The minimum reserve with the central and liquidity reserve in the banks’ own vault are non earning assets. Because these reserve money cacnot be invested in profitable ventures. In fact, from the commercial point point of view, cash reserve requirements increase their costs of fund. There are many types of risk associated with banking business. Among all the risk, liquidity risk and bankruptcy risk are most disastrous. Due to bankruptcy risk it is likely that the bank can declared insolvent and unable to pay back the depositors money. The deposit insurance refers to insurance of bankruptcy risk or default risk on the part of the bank and thereby ensuring that depositors will receive their money back incase the bank fails to repay the depositors’ money. York in 1828. Later on the two insurance organizations named Federal Saving and Loan Insurance Corporation (FSLIC) and National Credit Union Share Insurance Firm (NCUSIF) started the business of different centrally all over the USA. During the great depression of 1929 to 1933, there were 9090 commercial banks went bankruptcy which led to bankruptcy of 526 savings and loan association. As a result the businesses of saving insurance were seriously threatened. In order to reduce penic in 1933, the FDIC was established under government sponsorship. From then the Banks’ of United States pay insurance premium at .08% rate on their total deposit balance. This is how they reduce the deposit risk. Market risks affects the portfolios of marketable assets (and liabilities) held by banks. The modern theory of portfolio management has been developed by Sharpe (1964), Linter (1965) and Markowitz (1952). As such, it is of course interesting for banks, which often hold large portfolios of marketable assets. The idea is to assimilate all assets and liabilities of the bank into securities of a particular sort, and to consider the whole bank itself as an enormous portfolio of these securities. In this approach, the only specificity of the banks’ liabilities is that they correspond to sort positions in the banks portfolio. What sorts of regulation do bank face? Banking regulation now exists in virtually every country with a well- developed banking system. The official justification for banking regulation is the necessary of providing a “safety net” for banks to protect depositors from the risk of the failure of their bank. Assuming that the ultimately the ultimate objectives of bank regulations are to ensure to development of a safety net for depositors and to promote sound investment policies on behalf of the banks, then the instrument of banking regulation must be specific to the banking sector. Generally the government of a country through the central bank does the regulatory function to control the financial market. In Bangladesh the central bank i.e. Bangladesh Bank does the regulatory function to control all the financial institution. Bank is a financial institution and the Bangladesh bank as a central bank performs some regulatory functions to control the institution. Entry, branching, network, and merger restrictions. In order to strengthen credit discipline and bring classification gradually in line with the international standards, it has been decided that the effect from March 3.2005; a continuous credit, demand loan or a term loan which will remain overdue for a period of 90 days or more, will be put into the “Special mentioned account” and interest accrued on such loan will be credited to interest suspense account instead of crediting the same of income account. Loan in the “Special Mention Account” will not be treated as defaulted loan for the purpose of section 27Ka (3) of the banking Company Act, 1991 and the status of loan (special loan) need not to be reported to the Credit Information Bureau (CIB) of Bangladesh Bank. This will help the banks to look at accounts will potential problems in focused manner. Since credit disbursement in the consumer financing sector has been significantly increased and credit flow in the Small Enterprise Financing sector has also been encouraged in the recent time, two separate guidelines have been issued to the for their better management of credit disbursed in those two sectors. However, implementation of these guidelines will be observed by Bangladesh Bank’s inspection team while conducting their regular inspection in the schedule banks. condition that the maximum fund based credit facilities do not exceed 15% of its total capital. In case of export sector, single borrower exposure limit remains unchanged at 50% of a bank’s total capital but funded facilities has been fixed at 15% of its total capital. Banks have been advised to set up “Compliant Cell” to deal with all sort of complaints, either received directly by them or referred through different agencies/ institutions, including Bangladesh Bank. Bangladesh Bank has also set up a “Compliant Cell” headed By Deputy General Manager (DGM) in its department of Banking Inspection (DBI). This cell will check the performance, effectiveness and functioning of the Compliant Cells of the Banks, and monitor the status of customer complaints. Besides, a new page regarding complains has been opened in website of Bangladesh bank. increased to 4.5% from 4% of their total demand and time liabilities effective from March 1, 2005. However, banks are allowed to maintain CRR @ 4.5% daily on bi-weekly average basis subject to the condition that CRR so maintained should not be less than 3.5% in any day. The statutory Liquidity Requirement (SLR) for the scheduled banks, excepting banks operating under the Islamic shariah and the specialized banks, has been re-fixed at 16% from 20% on November 08,2003 and remained unchanged thereafter. The SLR for the Islamic banks remained unchanged at 10 percent. The specialized banks continued to remain exempt from the SLR. Since 25 April 1994, interest rate band for export credit had been fixed between 8.0 to 10.0 percent. From November 10, 2001, interest rate had been fixed at 7% for export credit of readimade garments, frozen foods and agro-based industrial products. However, from 23 February 2003, the same rate had been applied for export credit of leather made goods and shooes. From 02 November 2003, the lending rate for export financing of potato had been fixed at 8%. Thereafter, interest rate for all sorts of export credit has been fixed at 7% since January 10, 2004. With progressive deregulation of interest rates, banks have been advised to announce the mid-rate of the limit( if any) for different sectors and the banks may charge interest 1.5% more or less than the announced mid-rate on the basis of the comparative credit risk. Bangladesh Bank is keenly monitoring the movements of interest rates. The bank rate has been revised downward from 6 percent to 5 percent on November 2003 and remained unchanged as on date. In backdrop of huge non-performing loan of the banking sector of the country during the decade of the 1980s, a full-fledged Credit Information Bureau(CIB) was set up in August 18, 1992 in Bangladesh Bank under FSRP of the World Bank. The main objective behind setting up of the Bureau was to minimize the extent of default loan by facilitating the banks and financial institutions with credit reports of the loan applicants so that the lending institutions do not encounter any credit risk while extending any lending or rescheduling facility. CIB database consists of detailed information in respect of borrowers, owners and guarantors. In order to ensure prompt collection of credit data from the sources as well as instantaneous delivery of credit report to the users by applying latest computer technology, the CIB would soon undertake a project aimed at implementing on-line services between the Bureau and the lending institutions by using internet. regulate and supervise the banks and financial institution of the country. Inspection of banking companies is assigned to Bangladesh Bank under section 44 of Bank Company Act 1991. Two departments of the bank namely Department of Banking Inspection-1 and Department of Banking Inspection-2 are conducting the inspection activities. These two departments conduct on-site inspection on Nationalized Commercial Banks(NCBs), Specialized Banks, Private Commercial Banks( including Foreign Banks). The inspection are comprehensive inspection, overall performance/ conditions of the bank such as capital adequacy, asset quality, liquisdity, earnings, management competence etc. special inspections are conducted on the on specific/ particular issues as well as to investigate complaints received from the depositors, general publics and institutions. The financial institutions development project (FIDP), administered by the Bangladesh Bank. The major objective of the FIDP is to promote the development of financial Institutions (FIs) and improvements in investment financing on a sustainable basis through strengthening the quality of intermediation with a view to accelerating industrial growth in Bangladesh. The projects consist of two components: (a) resource mobilization for FIs and (b) strengthening of FIs through developing and managing a credit bridge and standby facility. What Social Responsibilities do they Perform? A concept commodity used unclearly, that business has responsibility of social problems. It is more exact sense, since the purpose of business is the production and sales of economic goods and services., it is more appropriate to see the social responsibility of business as being responsive to the entire social expectation in which it operates. The necessity for any business to be aware of and respond to the living elements such as people attitudes, desires, degree of intelligence, education, beliefs, problems, and customs. Bank as a business organization do some social responsibilities for the welfare of the economy and society where that operate. Other than obeying law, a Bank can do a number of things in society’s interest as well as its own these go beyond normal social expectations. A business is expected to be efficient and productive to serve its customer well , to act responsively and competitively, to help the economy grow, to financing meaningful jobs to people, and to pay decent wages. Since an educationally qualified workforce is essential for business, a firm might support education through direct financial aid to schools and community. Besides, a Bank provide sponsor in cultural development and give finance in Sports of a country. They can also do their social responsibility during the natural disaster and provide medical facilities to build up hospital or medical camp. Provide financial aid to the Educational Institution to development of education of a country. Provide financial aid to Medical facilities for poor people. Provide financial aid For Cultural Development. Provide financial aid if Sports Development. Provide financial aid and Training facility for the poor people of rural area. Provide financial aid during Natural disaster face by the country. Provide finance in sectoral development of the country. Provide finance in Infrastructural development of the country. Provide Different types of Schemes for middle or lower class people like Marriage scheme, Medical schemes, Educational schemes etc. Provide loans and advances in small and cottage industries. Operating its activities of branches in rural areas. Inform to the authorities when they find any illegal operation in any account. Obeying the law and regulation of the country and do the business as the guidelines of the central banks which are a policy implemented organization of the government. Take initiative to increase the export by providing credit facilities and advisory services to maintain the balance of payment. To give different types of facilities to the customer to ensure the better living condition. Provide financial aid during natural disaster: Brac bank provides 20 lacs taka as a financial aid in the Prime minister’s relief funds during the last year flood in Bangladesh. Besides, the bank provide direct aid to the flood affected people to destitute food and clothes among them about 10 lacs taka. Provide financial aid in education: Brac Bank regularly provides financial aid to the school and madrasha to support the education of our country. Provide financial aid in cultural Development: Brac Bank some times provide sponsor in different cultural program in the country. As for example, recently in the closeout one the cultural program for seeking Talent singer, the Bank provide a brand Car the value of Taka 21 lac as the prize for the First. Provide financial aid in Development of Sports: Brac bank provides financial aid as sponsor in World cup youth cricket completion held in Bangladesh last year. The bank provides 15 lacs taka in this competition. In analyzing the banking operation of the Brac bank we find the following gaps in terms of its practices. In the annual balance sheet of The Brac bank we find that they did not provide any loan in infrastructural and communicational development of the country. We analyze the balance sheet of the banks in the year on 2003, 2004 and 2005 and we find that the balance sheet shows in nill in the sector of Building development, Utility supply sector and in Transportation and communication sector. But with out the development sector an economy can not develop. So, the bank has to consider providing loan in these sectors which ensure his role in economic development of our country. In analyzing the balance sheet in the year 2003, 2004 and 2003 that the bank have not take any role if the poverty development. They will not expanses any fund in this sector. So, the bank has to provide finance in this sector which ensures the development of the economy of a country. In the statement we find that the banks have only 13 branches which are limited in number for this type of bank. The bank has to open a large number of branches in rural area. So, the customer enjoys the proper facilities in this bank and which will increase the banking activities.